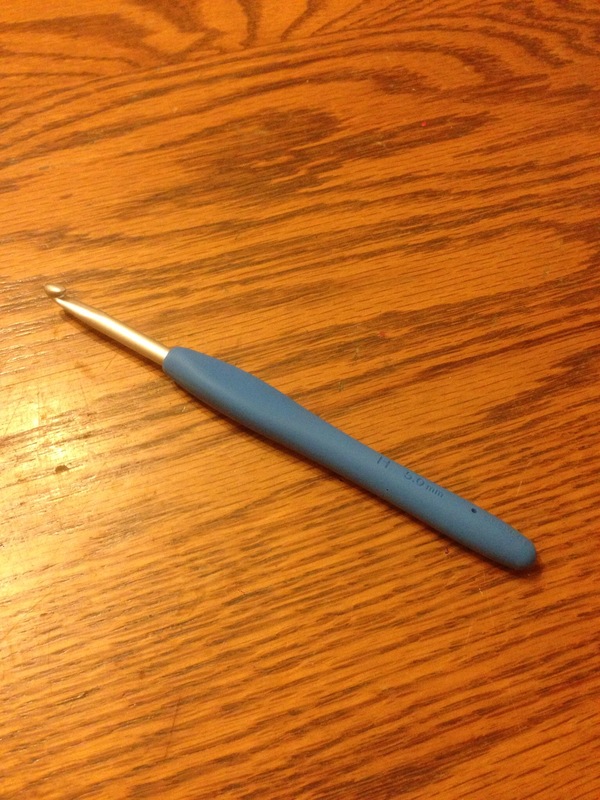 I feel like I have progressed to a new level of crafter: I purchased a Furls crochet hook! I’ve coveted their hooks for ages, those gorgeous colored Candy Shop hooks and the striking black and silver Odyssey hooks, but never gave in to temptation. Partly because of cost, but mostly because once I learned to knit, I wasn’t much of a crocheter anymore. If I didn’t crochet often, why buy a $30 hook when that money could go toward yarn? Well. That all changed when I saw the ad for the pre-order of the new purple Odyssey hooks. I ordered one immediately and started counting down the days until it would ship. Lucky me, it shipped sooner than I expected, and I finally got to open it last night. It’s so pretty! It’s a darker purple than it looks here, but just as shimmery and beautiful. I pulled out some scraps to make flowers to test it, and found that it’s heavier than I expected, but not unpleasantly so. The shape was definitely comfortable in my hand. The only thing I didn’t love was that there’s no thumb rest, so when I picked up the hook I had to make sure I was holding it right to get the hook positioned, and sometimes as I worked, it would turn ever so slightly in my hand, putting the hook in a less-efficient position. I’m eager to try it on a bigger project and give myself time to get used to it. Anyone else use Furls hooks? Okay, so remember yesterday I said we spent the day out around Weston, Missouri? Well, the kids wanted to go to HMS Beagle in Parkville, so we stopped there on the way home. I kind of got tired of the science stuff (I know, I’m sorry, I’m terrible) so I went down to the antique mall a couple stores away. I wandered all through it and found only a combination square/level for my son, who likes to woodwork with his dad. THEN! At the very end, on my way to pay, I glanced down and underneath a table I saw THIS: It was so full it wouldn’t close, and the needles were taped together into pairs, so I couldn’t really get into it too much to see what all it held. The tag just said “Assorted knitting needles & case $29”. Well. What knitter would have left it there? Certainly I couldn’t! As soon as I got home I dumped it all out onto the table and was surprised to see some little DPNs and crochet hooks fall out along with the long straights. Unfortunately, they’d all been taped together with scotch tape, so my first step was to clean them all with Goo Gone to get rid of tape residue. Then I washed them all in hot soapy water to get rid of Goo Gone residue. Then I matched up sizes and colors and laid them all out on the table to dry. Behold! In that case were 42 pairs of straight needles, 8 sets of DPNs (some mismatched) and 12 crochet hooks. That’s 62 pieces for $29! Woohoo!! Now, obviously I’ve been crocheting and knitting long enough that I already had some of these sizes, but I was able to supplement my collection pretty well, mostly with smaller sizes and DPNs. Oh yeah, and with Tunisian crochet hooks too! 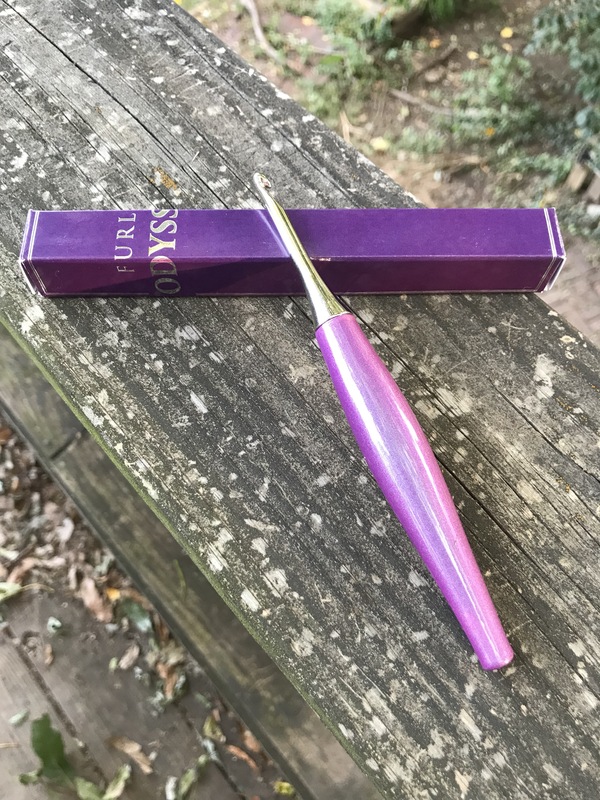 I was delighted to get a size 19 crochet hook. I really love the long red plastic DPNs (they’re on the lower towel, next to the ivory DPNs). There was also a set of red plastic straights, but I accidentally broke one while cleaning it. Oops. 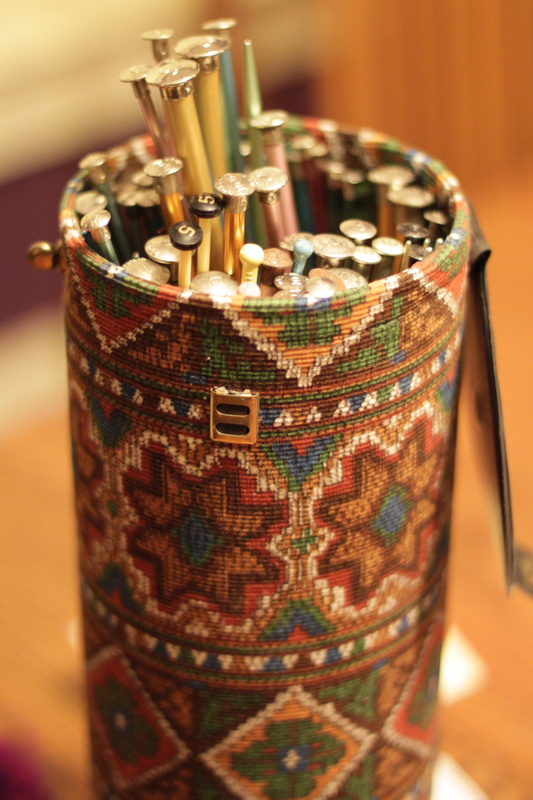 So now I have two complete sets of 14″ metal straights and a pretty full collection of DPNs and Tunisian crochet hooks. I was able to supplement my daughter’s set of knitting needles, and I passed on the two teeny-tiny steel hooks to my SIL. I gave three sets of needles to my daughter for a friend who’s just started knitting. 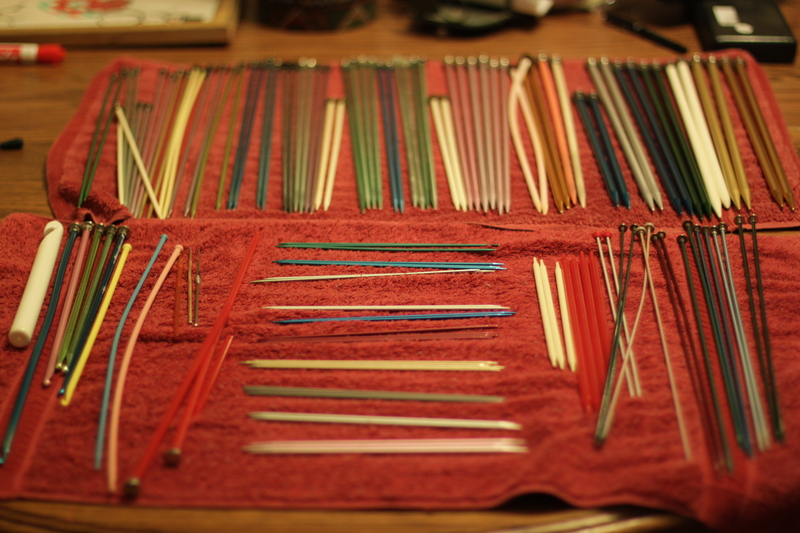 And after all that, I STILL have a set of 11 pairs of knitting needles left over, plus several random pairs! I think I will try to sell them and recoup some of my purchase price. Gotta love antique stores! What’s the best thing you’ve ever found? I’m all about the hats, can you tell? I’m working on filling orders, which means more owl hats emerging from my hook. I’ve been crocheting so much lately that I splurged a wee bit on my last trip to Joann. I had my coupon but there was nothing I really *needed*. Still, you can’t let a 50% off coupon go to waste, right? So I decided to try out a new hook. Almost all of my hooks are the metal Boye books that I bought when I started crocheting. They’re fine, but I found that when I added a finger grip, they were even better. Well, I went all out: I bought a Clover hook with the cushioned handle. I use the H size the most so that’s what I bought. I LOVE it. It feels lighter in my hand, it’s warm, and my fingers don’t have to grip so tightly. I’m definitely adding these to my wish list. This is what I’m doing with my new hook. 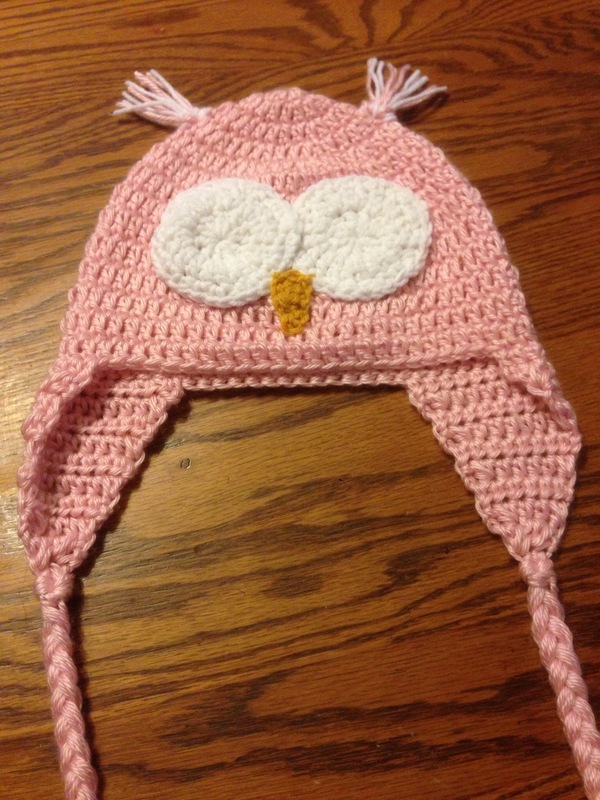 One more pink owl hat. She looks creepy because she has no eyeballs yet. I need more 3/4″ black buttons. I’ve got two boxes of buttons but not two black that match. So a trip to Joann is on my agenda today. 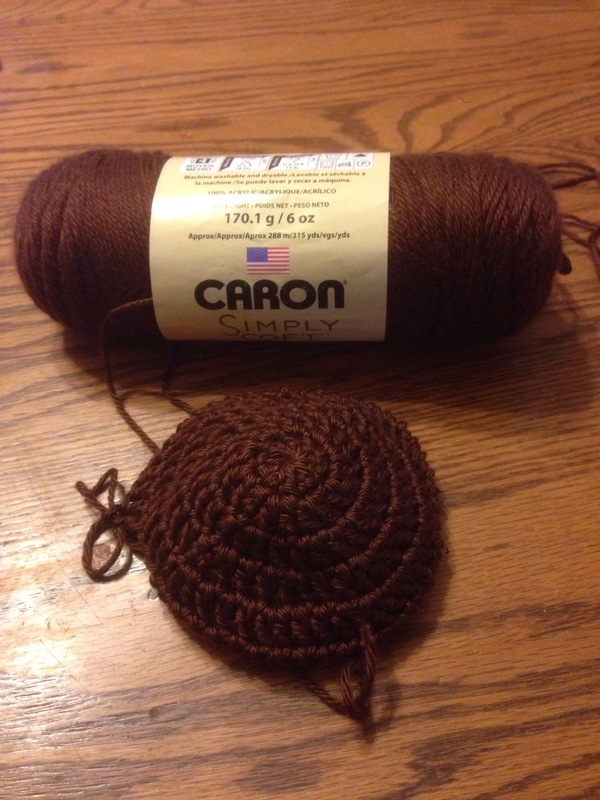 Until I get the buttons, I’m working on a brown baby owl hat. It’ll get a matching mom hat too. After this set, I have two hats and two scarves to make, and then I’m caught up with orders. After that, I’ll probably get back to my Christmas knitting…and a wee bit of selfish knitting!